Kaizer Chiefs’ search for a prolific goalscorer to come flying through the doors at Naturena has been long and largely fruitless during the trophy-less reign of Steve Komphela. Bongani Ndulula, Camaldine Abraw, Edward Manqele, Lewis Macha and Michelle Katsvairo are all names likely to draw a wince from fans hurt by memories of bumbling performances in attack. Gustavo Paez is another to have flattered to deceive after a bright start, while Bernard Parker can produce the odd spark, but the veteran simply does not have the consistency of old. And so, enter Ryan Moon, who has taken 2018 somewhat by storm, and staked his own claim to be the man to lead Chiefs into the promised land of a meaningful piece of silverware. 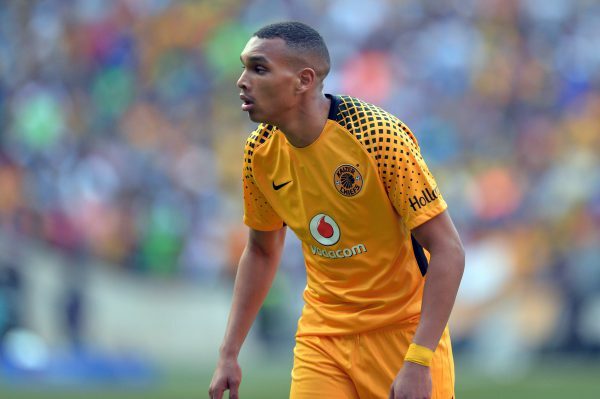 Moon has scored four times in six appearances for Chiefs since the year began, proving powerful in the air and also having a knack of simply sticking his boot in the right place, as he did for his goal in the Nedbank Cup against Golden Arrows on Saturday. It is way too early to start proclaiming Moon as the next great Chiefs striker of course, but these are certainly promising signs from a player who has already quadrupled his tally of one goal from last season. If the likes of Leonardo Castro, signed in January from Mamelodi Sundowns, Paez and Parker, who showed a spark of old with his goal on Saturday, can back Moon up, Chiefs might just find the goals to lead them to a pot of gold at the end of Komphela’s contract, which he surely has to find if he is to have it renewed. Another reason Komphela might just take the Nedbank Cup, or even the league if Chiefs can turn more draws into wins, is the man at the other end of the pitch, a man who has been consistently fantastic for Amakhosi and Bafana Bafana for too many seasons to mention. Itumeleng Khune was outstanding again on Saturday, as two quite ridiculous saves against Arrows gave Chiefs another clean sheet and a 3-0 scoreline that rather flattered Komphela’s side. Chiefs have now kept 13 clean sheets in 25 matches in all competitions this season, conceding just 12 times in the league, and the 30-year-old Khune is a major reason behind that. It is actually a shame that he has never had the chance to show what he can do in the European leagues. Komphela gives his thoughts on Chiefs’ keeper on the opposite page, while he also talks up Chiefs’ chances of winning the league title. On the Orlando Pirates front, meanwhile, congratulations to Luvuyo Memela on being named Phakaaathi’s Player-of-the-Month for January, after some stellar displays for the Buccaneers. One lucky reader will also walk away with R350 in airtime. To find out if it is you, turn to Page 6. Elsewhere, the Nedbank Cup’s one major surprise so far came when Ubuntu Cape Town, bottom of the National First Division, beat the Absa Premiership’s Polokwane City 3-2 in the last-32 last week. In our regular One-on-One feature, we speak to Ranga Chivaviro, who scored twice to help his side to victory. And we also look ahead to the week’s remaining Nedbank Cup ties, with perhaps another shock on the cards.